Well, it has been a while since the last news release, but that does not mean that there has been no progress. This update is filled with a lot of stuff for you to look through and see how the mod is developing. 2) Arnor Buildings. A lot of progress has been made to change Arnor to their own unique faction. When I add buildings to RJ-RotWK I got for the full effect - build-ups, level-ups and such. 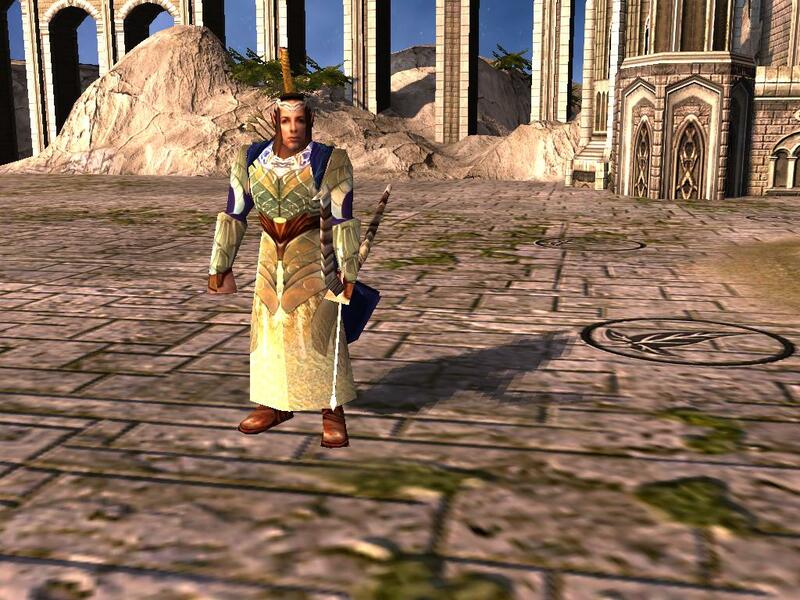 3) ElrondHighLord has provided many new skins for the units I've been working on. (More than I can keep up with.) Here are two of them, for Elladan and Elrohir. 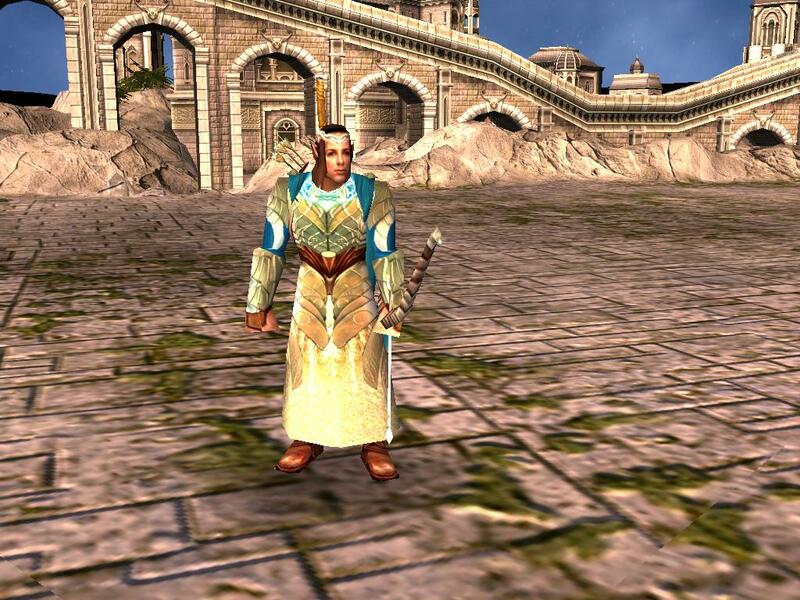 While the twins will not be heroes for the Elven faction, they will be featured in a number of areas of the mod. Hopefully next update I'll be able to highlight more of the models. Lastly, Nazgul from SEE has provided me permisison to use his Black Gate sky. I took the opportunity to take a bunch of screens to show off his great work in a mini-battle. Last note, I hope to have the next public release in the next 1-2 weeks. It's not the finalin the 1.05 series but there is a LOT of new content, bug fixes, maps, build-plot test map and more. Look for it as an early Christmas present. Edited by robnkarla, 05 December 2007 - 07:47 PM. This is probably the best update I've seen recently, keep it up! Download WotE Final Beta now! Location:In the cold cold north. The Arnor Barracks looks fricken sick. ...a fan? You mean, like, a computer fan? I'd just find a household fan around somewhere and use it to cool off your PC. That's what I do with my Xbox 360, because it works better then the coolers you can buy. Same with a comp. I've done it before, with a laptop and with a normal bigger comp. No problems. Of course, the in-computer-fan is better because it's not external...it'd work alot better if you took the shell off of it and had the air blowing directly into the main body of the computer. Other then that, your best bet will be to order it online if you can't get a ride to Best Buy or Circuit City. Yeah, I need a household fan, we don't have one. And as it's not my computer and I already screwed it up once, it is probably not best idea to take it apart or buy accessories. But there aren't any stores where I can buy a fan in the town I live in, so I need a ride into the state capital to go to Target or something. You don't take the computer apart in the sense that you go in and remove pieces of it, only the outside shell of the main CPU unit itself. It's easily slid off, only done to expose the inner-workings of the computer itself. You don't affect anything inside, just don't let anything GET inside when the computer is exposed like that. And don't reach in it when it's plugged up either. But yeah, if you don't have the shell off of the computer, then the fan won't do any good. You've got to have it blowing on exposed areas of the computer. Otherwise, you should be good to go. Recently j download version 1.05.02 of September 10, 2007 and I would like to know if you could give me a link to download the latest update. Because in my version I can not even build the wall for rohan nor for the arnor etc. Ps I am French, and my knowledge of English is very limited so please excuse meters. first of all welcome here! In fact the super screens. You believe that there will be the next release before Christmas or not, it will be too genial because your super mod is a set share some beug but otherwise it is cool. In fact es que je peut etre beta tester because at this moment I am the Lord of the Rings and I spend my life on it, and I love to look for beugs. If you want Voila c is not okay. Of those good at the end of the afternoon. Edited by predators83, 06 December 2007 - 04:09 PM. My god! This is just gorgeous! Amazing good work! I love the new Arnor buildings, and the new skies OWN, especially Minas Tirith and Black Gate. One question: can you reduce the radius of doodad/destructible-removal when a structure is built? if you want to add something to one of your posts, there is an edit button. beta testing is pretty much closed, but sometimes there will be a screenshot or video contest that you can use to get in. i dont know about the release, because rob wants the next public version to be fully bug free and balanced so he can start having tournaments.